( May 2nd, 2016) As concerns grow about Russian revanchism, three NATO members — Turkey, Bulgaria and Romania — may help expand NATO’s presence in and around the Black Sea. Russia has major forces there, including in Ukraine’s Crimea, which Russian President President Vladimir Putin ordered his forces to occupy as part of his ongoing but undeclared war with Ukraine. NATO has been working on a broader strategy to deter Russia for aggression against its neighbors. The Black Sea is strategically very important for East and West given its energy reserves and closeness to the Middle East. 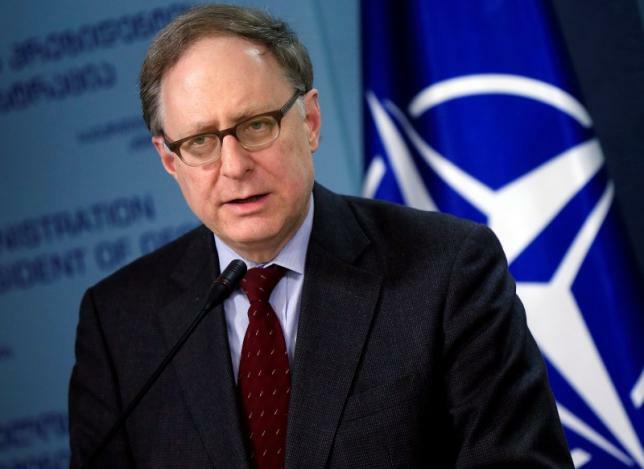 “There are some very valuable discussions under way among the allies who live on the Black Sea … of more closely integrating their naval forces and operations,” NATO’s Deputy Secretary General Alexander Vershbow said in a visit to Sofia, mentioning the three NATO allies. NATO worries about a Russian strategy to try to block NATO from moving its military forces by positioning Russian surface-to-air missile batteries and anti-ship missiles in Kaliningrad (its enclave on the Baltic), the Black Sea and in Syria.